Being a member of the APHP not only recognises the exemplary quality of your work, but stands as a neutral testament to your expertise, a hallmark of quality that actors, agents, drama schools and casting professionals can rely upon. The APHP was created to bring together headshot photographers within the entertainment industry, promoting a recognised standard of professional practice, enhancing the stature of the profession, providing a free exchange of information and ideas, and honouring the achievements of members. For emerging photographers: we offer a path to qualification and an opportunity for supported professional development within our community. For established photographers: in a freelance industry we offer membership of a community of the industry's leading photographers, one where knowledge, experience and expertise are shared, to the benefit of all. And through promoting the 'APHP Approved' hallmark of quality, we dignify our work, champion and celebrate high standards in a crowded marketplace, while creating a stronger voice to advocate for members in the industry. Added credibility within the entertainment industry for your business. Use of the 'APHP Approved' brand on your website and promotional materials. 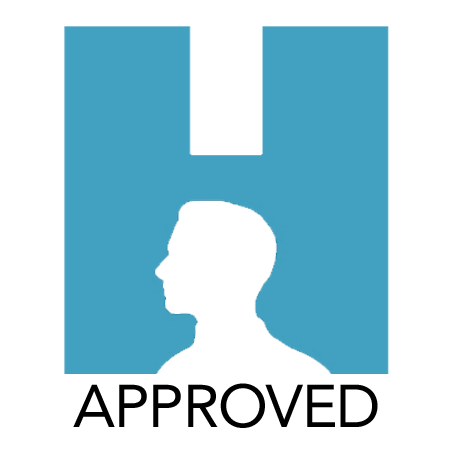 Profile on the APHP website, benefiting SEO and linking to your site. Add your voice to an organisation that advocates for and educates about the highest standards in casting portraiture, as well as lobbying key institutions like Spotlight. 3 Years' experience as a professional photographer, with actors headshots making a considerable proportion of income. A high quality of work, demonstrating excellent technical lighting and photographic expertise, together with a keen understanding of what makes a successful casting portrait. Must be in good standing with the £200 per year subs. And must not work as Casting Professional, Agent or Personal Manager. On the setup of the APHP, our founder members all agreed to donate - subject to need - one free headshot session a year to the APHP Drama School Bursary Scheme, which gives a shoot to one 2nd/3rd yr student who is in need or deserving of especial reward, at each accredited drama school. New members are strongly encouraged - though not strictly required - to offer their services to the scheme. Membership of the APHP is by a simple and fair application process, which assesses your work, experience and business. Very experienced photographers may be accepted directly on application (only subject to providing Insurance proofs above), while for those earlier in a career, we may need to see more information. In the first instance, please fill out the email form and we'll get in touch regarding your application. Proof of a minimum of three years professional photography experience. Proof of profession (Inland Revenue), company registration (if applicable) and summary accounts. A personal statement describing industry experience, work flow and equipment. Any qualifications and affiliations with other societies/trade unions. A portfolio of your images in web and/or print res. Other evidence you feel is relevant. We may also ask for prospective applicants to meet a group of members informally. - Maintain the highest standards in their work and keep up to date with industry trends. - Publish and adhere to clearly outlined conditions of business for clients. - Honour bookings within reason, keep to deadlines per gallery provision and retouches, and have in place reliable back-up systems. - Maintain up-to-date Public Liability insurance. - Maintain confidentiality and good practice data protection when dealing with their clients. - Pay the subscription fee and subsequent annual renewals promptly. - Be willing to participate in APHP-led mediation in the event of an unresolved dispute between an APHP member and a client. - Never to work as an Agent, Personal Manager of Casting Director. Failure to abide by any of the above Rules & Regulations could result in termination of APHP membership. Photographer Workshops: In 2019 The APHP launched its range of Workshops for Photographers - 'Headucation'. These workshops are free to members but we also invite photographers outside of the association the opportunity to come and train and learn vital information on all aspects of Headshot photography wether it be Lighting, Workflow or Business principles. Head over to Headucation to see our upcoming workshops.